Mr. Scott’s nickname, “Boomer,” was well earned, as he was known for his long home runs. 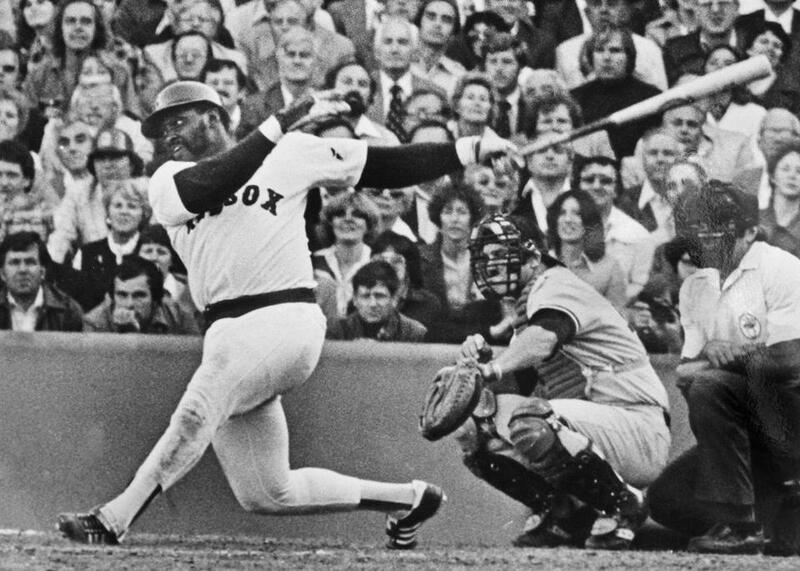 The slugger known as Boomer, who died Sunday at 69, spent eight seasons with the Red Sox and part of a ninth. He also played for Milwaukee and Kansas City before ending his career with the New York Yankees, collecting eight Gold Glove awards during 14 Major League seasons. “For a guy who was pretty big, he was incredibly agile, and we found out later he was an excellent basketball player in high school, and that’s what helped him get to so many ground balls,” said former Red Sox pitcher Jim Lonborg. 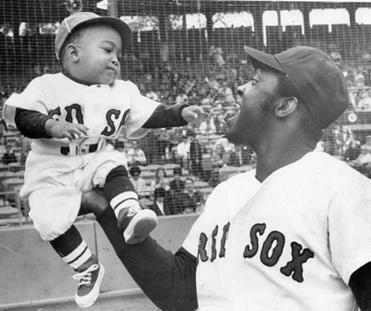 Teammates also appreciated the defensive prowess that earned the sure-handed first baseman, shown hoisting his son George in 1970, eight Gold Glove awards. “Long Taters,” a biography of Mr. Scott by Ron Anderson, was published last year. During his Major League years, Mr. Scott used expressions such as “hitting a tater” for slugging a home run. “As an African-American child growing up in rural Mississippi in the 1940s and 1950s, it seemed that his destiny, like his peers in the Delta, was to labor in the cotton fields picking cotton under the broiling Southern sun,” baseball historian Bill Jenkinson wrote in a forward to the biography. 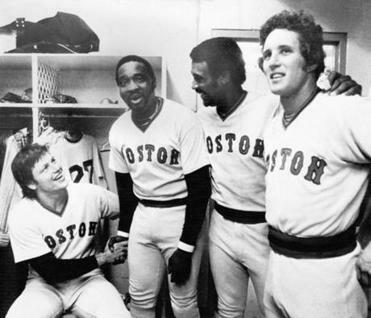 Carlton Fisk (from left), Mr. Scott, Jim Rice, and Butch Hobson were among the many Red Sox sluggers in 1977. “Nothing can be worse than getting up at 4 in the morning waiting for a truck to pick you up to go pick and chop cotton from 6 or 7 in the morning until 5 or 6 in the afternoon,” he said in an interview for a biographical article on the Society for American Baseball Research website.